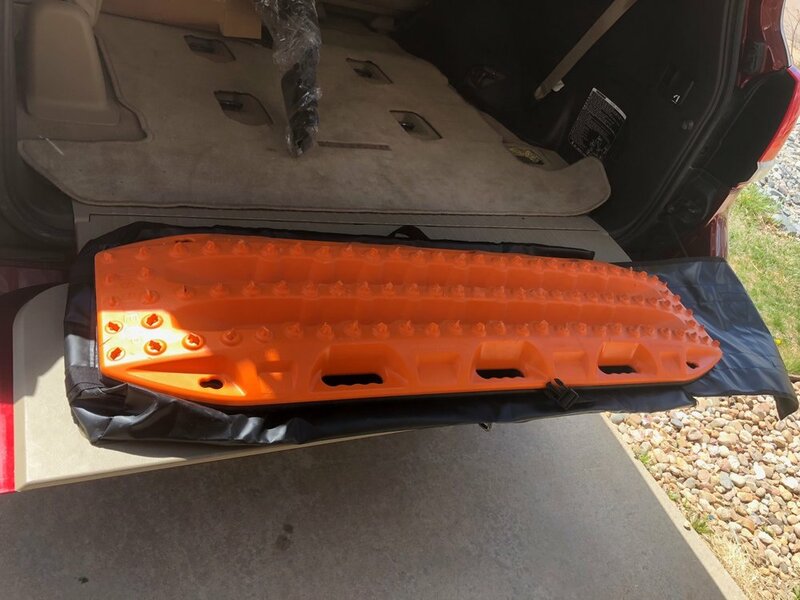 This is the product that literally made us want to partner with Blue Ridge Overland.. a really clever new way to stow, carry, and attach your Maxtrax or other branded recovery track/traction ramps to your vehicle. So odds are you either just bought these, won a pair, or are considering them, but then you're scratching your head about the best way to stow them, or attach them to your truck. Or maybe you're an old hand at recovery and are just looking for a new idea. Either way, read on, perhaps you will like this solution as much as we so. Toss them inside your vehicle. Obvious, yes, but the benefit here is the bag will help keep the sharp spikes on the traction ramps from poking into other items. So when you're reaching back to find that other boot, you're not going to scrape your arm on the Maxtrax.. also should you ever actually use your recovery track, the bag will help contain the dirt inside the bag. Super cool option here.. as there is nothing like grabbing a muddy, snowy, cold wet piece of plastic up off the ground, and tossing that into your nice warm clean truck. This bag can help contain that mess, then when you get home just hose it out and let it air dry. Strap it to your spare tire. 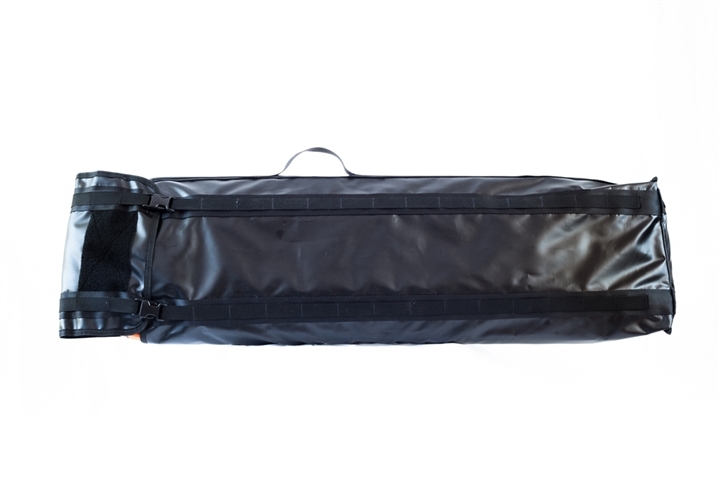 The optional straps run through the MOLLE loops, and enable you to quickly and easily attach these to your spare tire. 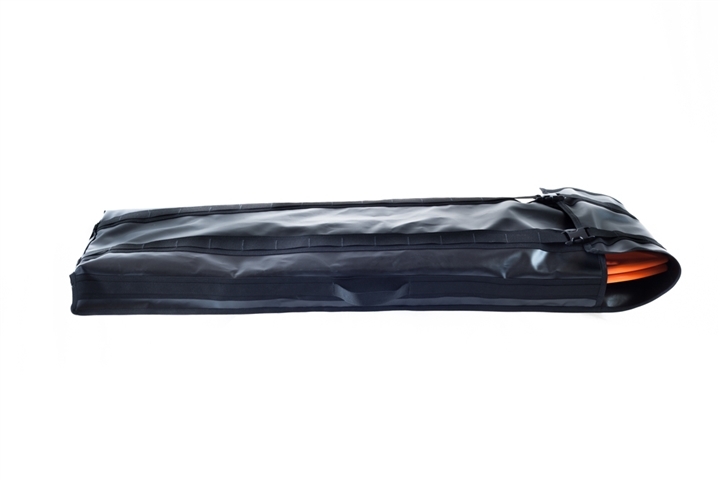 In fact, you would only need to loosen the straps to remove the recovery tracks, leaving the bag on the spare. Alternatively, you can quickly remove the bag from the tire completely, and use the handle on the bag to carry the whole setup to the vehicle in need of recovery... very handy! 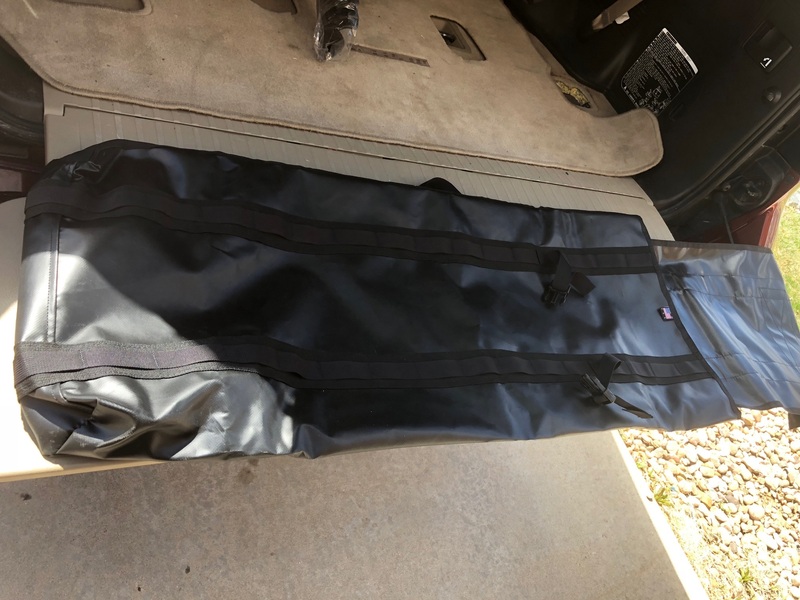 And I suspect you are also clever enough to figure out how to incorporate the Accessory Plate of our spare tire receiver system, to strap this bag to the accessory plate feature of your spare tire in that way. Lots of options here. Strap it to your roof rack! A great way to get the tracks out of your interior completely, and another great use for that roof rack you love. More discreet. When you use the bag, you're a little more understated, so not yelling to the rest of the Jeeps at the mall "look at me! 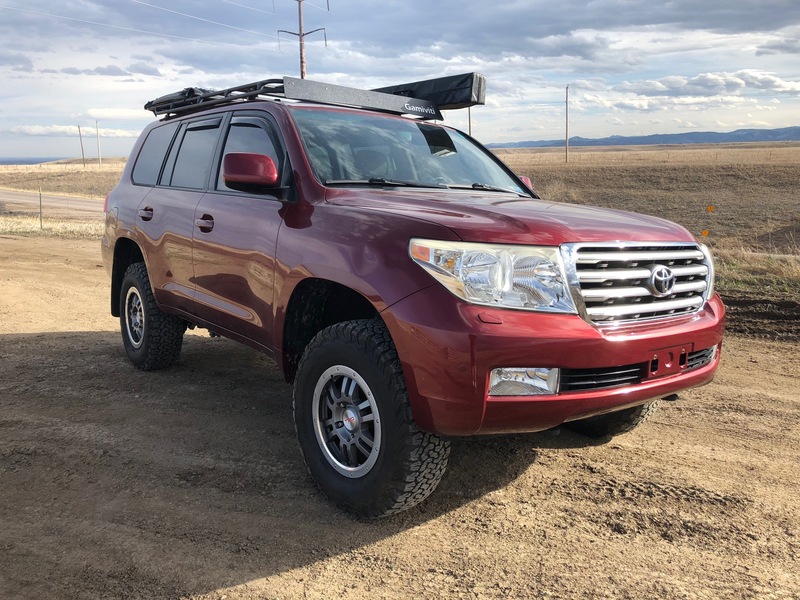 I'm overlanding!!" because lets face it- you're not stuck, you're not on an expedition, and you don't need the extra attention. It's ok to be a little more low key with displaying your recovery equipment, and if I don't see your Maxtrax at first glance that's ok, we still know you have them, I know you aren't afraid to use them. Another transport option- it's kinda nice to have the bag, with handle, to carry from your truck (because it's usually the other guy that's stuck, not you right?) to the vehicle in need. Crud containment- we touched on this above, but having a bag to put those nasty sloppy recovery tracks back into is a really good thing. These aren't water-tight, so yeah junk will still drip out, but it's a huge step in a positive direction here, and a solution that looks great at the same time.